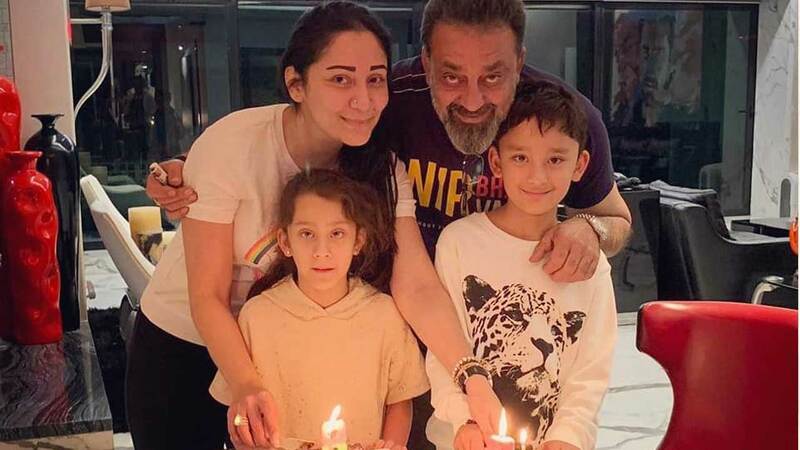 On the occasion of Sanjay and Maanayata Dutt’s twins Shahraan And Iqra’s Birthday, Sanjay Dutt shares a warm message for his kids as he celebrates the day with them. Giving the sneak peak inside the birthday party Maanayata shared these delightful pictures. The actor missed valuable moments of his life when he was serving his period in jail so now he makes it a point that even with his hectic scedule and shooting for multiple projects simultaneously he takes out time for his children and family, never missing any occasion to celebrate with them. Eariler, his children and wife had visited Sanjay on the sets of Torbaaz in Krygystan when the actor was away for long shoot schedule. Many a times, Sanjay Dutt is spotted with family spending quality time during vacations, brunch and shopping. Previous articleTiger Shroff Got The Bollywood Grooving As He Started This Trend!